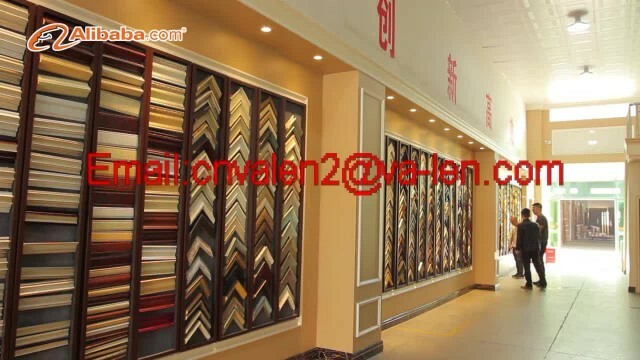 Hualun Guanse Decoration Material Factory is established in 1995.The factory is located in Foshan city nanhai district lishui town dachong industrial zone.We are a manufacturer and exporter of polystyrene mouldings,wall decoration products like photo frames,picture frames and mirror frames and PVC wall panels. We own 13,000 square meter factory area with 300 employees.We have 14 polystyrene moulding production lines and 4 PVC wall panel production lines. With years of experience and sustaining training of our people,we own a professional and hardworking team to keep developing and designing of new products for all of our customers.Also,our young and educational sales team have a good communication and provide the best service with our customers.We are always striving to rank the top in this field. Our high quality standard and innovative team have allowed for our growth and reputation in the decor industry,both in Asia and internationally.We are polystyrene moulding and wall decor products manufacturer in China with a goal of continuous manufacturing a quality product,at competitive price,with wide range of selections and on-time delivery to meet the demands of your business. With more than 23 years in home decor,one stop service.Only willing the best design brings the best life for you.